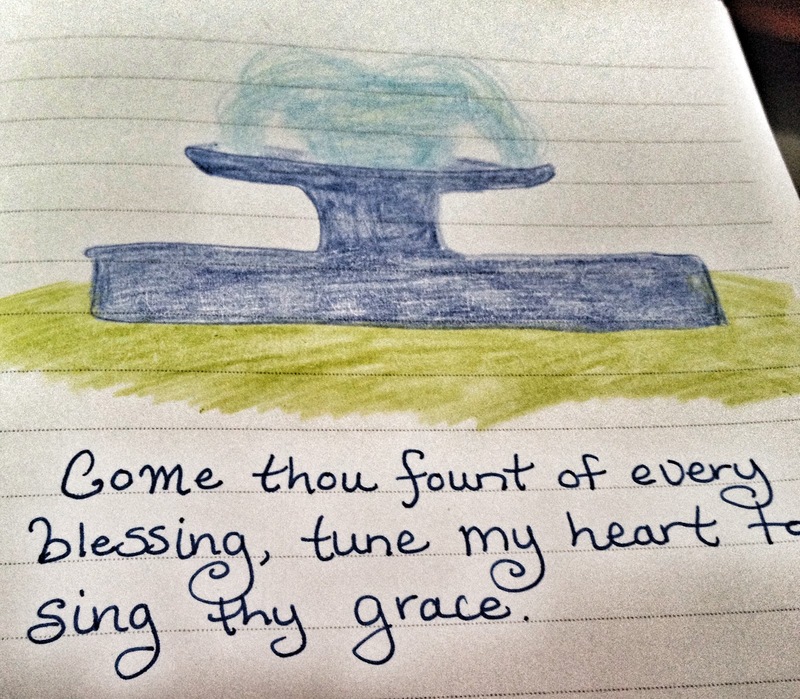 Come, Thou fount of every blessing, tune my heart to sing your grace. The fountain of every blessing that we could ever imagine, the source of all that is good and all that we need. Do I run to it? Do I drink from the flowing streams of mercy? Or is my heart seriously out of tune, more like a banging gong and not something all together beautiful? When complaining flows from our hearts and out of our mouths we are in need of a good heart-tuning. When our words harm rather than help, when we tear down rather than build up, we show our lack of filling from the everlasting streams. I am quick to get frustrated or pass judgment or give in to feelings of inferiority. There are plenty of reasons in the physical realm, things like construction in our apartment building and the CONSTANT banging and noise, mice (I will spare you the gruesome details), and days without rain leading to 100% humidity. Yes, I could complain and put it out there for the world to see (isn’t that what I just did here). But the notes would all be off, the sounds would be the cause of dogs howling for miles. But when Grace comes and in and tunes things up and makes things new, covers over all the frustrations…they are still there, but my focus is on praising. The very loudest praising is what is due! The overflowing streams of God’s mercy to me should turn my heart around from complaining or words that are not lovely to words that are beautiful and honoring and become a symphony of praise to my Father.